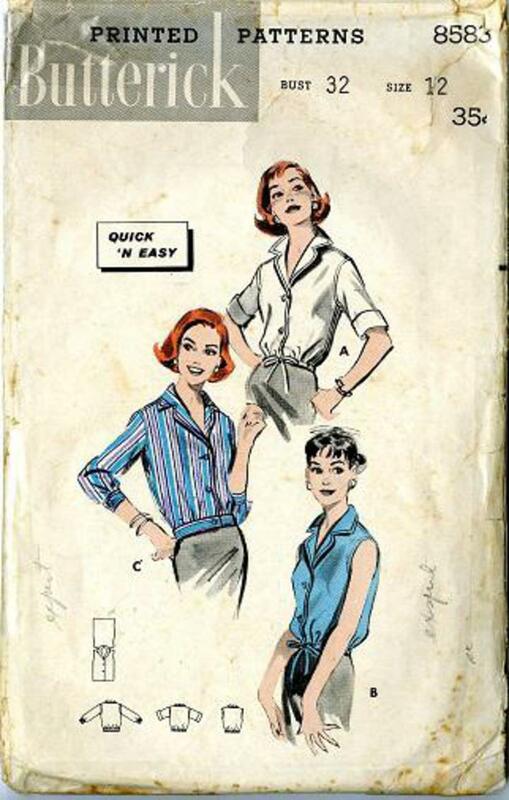 1958 Butterick #8583 vintage sewing pattern, misses' "quick and easy" blouson, size 12. Shirt-styled "blouson" in three variations...all quick and easy to sew. (A) Drawstring version with roll-up sleeves. (B) Sleeveless version. (C) Below-the-elbow length sleeve version with contoured waistband.